We will spend a few moments chatting and discussing your medical and ear history, and just getting to know one another. We are committed to providing the best health care which we believe is derived from a good doctor-patient relationship. For our more anxious patients, rest assured, none of the testing we carry out is invasive or painful. No needles or invasive tests, so just sit back and get comfortable! 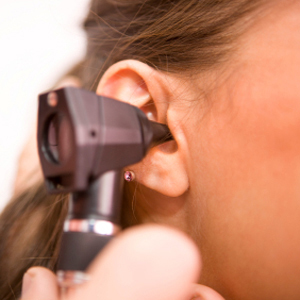 Your examination will first begin with otoscopy and a visual examination of the external ear. (Eustachian tube dysfunction). The second test (OAE) will determine how well your cochlea’s outer hair cells are functioning. Think of the outer hair cells as little microphones that amplify soft sounds so that they can be more easily detected. They are both important and vulnerable. These outer hair cells are easily damaged by noise exposure, aging, and certain medications. This test serves an important purpose for monitoring ototoxicity, as well as confirming the audiogram. At this point, you will enter the sound-treated booth (if you are being seen in-office) and insert earphones will be placed in your ears. This is the traditional type of hearing test you may remember from your school days. You will respond by repeating words at different loudness levels and raising your hand when you hear beeps that are both comfortably loud as well as barely audible. This will give us threshold information for which to base our recommendations if hearing aids are appropriate for you. Additional testing may also be completed if you are experiencing tinnitus (ringing in the ears) to determine if particular tinnitus treatment(s) is (are) appropriate for you. Once testing is completed, Dr. Said will immediately inform you of the results. If there is a medical component to your hearing loss, appropriate referrals will be made. If you are a candidate for hearing aids, the styles and technologies will be discussed if you so desire. Within a few days, a written report will be sent to the referring physician and to the patient for their records.